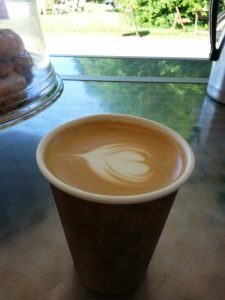 We are a small independent business based in Somerset operating an upmarket artisan coffee cart. We serve high quality speciality, ethically sourced coffees, teas, and indulgent hot chocolates, plus a range of quality soft drinks. During warmer months we also serve our own freshly prepared iced coffees and iced tea which are a refreshing alternative on a hot day. Our drinks are complimented by delicious homemade cakes and freshly baked pastries. 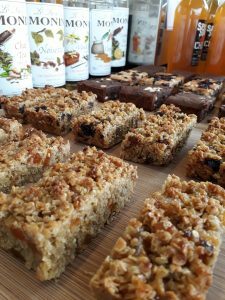 We also aim to cater for people with varying dietary needs by offering gluten free and vegan options. We are proud to say that all our coffee, hot chocolate and teas are ethically sourced. 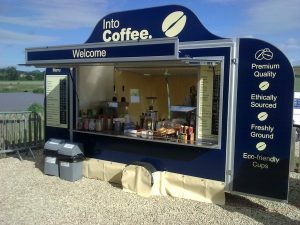 Our bespoke coffee cart is designed to reflect our philosophy that everything we offer is of the highest quality. We use fully biodegradable / compostable cups, lids, cake forks and stirrers and endeavour to be as environmentally friendly as possible in all other aspects of our operation. We have been awarded the maximum 5 Star Food Hygiene Rating issued by the local authority. We are happy to provide the following lunch options and would be open to discussing your requirements: Hot Somerset Cured Bacon Baps, Homemade Quiche, Filled Rolls and Filled Croissants. We would always ensure there are vegetarian / vegan and gluten free options in order to cater for those with special dietary requirements.